Carolyn Tyler is the facilitator for Massachusetts Dyslexia Center, located in Fairhaven, Massachusetts. She has been licensed and certified through the Davis Dyslexia Association International since August 2005. Holding a Bachelor of Science degree in Humanities and Social Science, Carolyn's education also includes several undergraduate courses in Education and Reading and Decoding Skills. 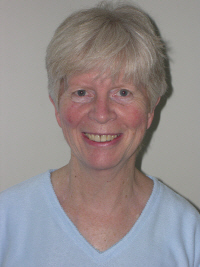 Carolyn's past experience includes working for 13 years in public school elementary systems as a certified teacher in Massachusetts (K - 6). She holds Wilson Language Level II certification and is familiar with a variety of current U.S. teaching methodologies including, but not limited to: Orton-Gillingham, Telian, and Reading Recovery. Carolyn believes we live in exciting times when newly discovered, innovative strategies can effectively address the needs of the struggling, visual-spatial learner. After discovering Ronald D. Davis' book, The Gift of Dyslexia, Carolyn's experience with, and understanding of, other teaching methods enabled her to see how effective the Davis® methods could be for visual-spatial students. She sought certification in the Davis methods and is now a full-time Davis facilitator, working one-on-one with clients. Carolyn loves the statement by Horace Mann: "Be ashamed to die, until you have achieved some victory for humanity."